It's been a very long time for DC Fans, almost 75 years of wait to watch Wonder Woman getting its much deserved solo movie. The legacy, the Fandom, the Power and the legend called Wonder Woman is finally been re-incarnated. Just like Batman and Superman, Wonder Woman deserves its due recognition outside the DC Universe. The world is so much obsessed with male superheroes that any deviation makes the whole idea of superhero movies futile. It’s the sole influence of DC fans, DC Films and Warner Bros. Pictures that we are getting a Wonder Woman Film (Starring Gal Gadot) directed by Patty Jenkins. Things are just getting warmed up now and all DC fans are excited to see Princess of Themyscira unleashing the magnificence of Wonder Woman. Last year we saw enormous hatred and criticism towards Batman v Superman and Suicide Squad, critics around the globe slammed these films as convoluted and disgusting, however, the re-watchability of these movies surely made those haters introspect. Batman v Superman ranking in the top 50 on the all-time best selling Blu-ray list is a direct indication that this movie was misunderstood by noobs, critics, and haters. Zack Snyder as we all know is big DC comic book fan and his treatment to all the characters in that movie almost resembled the comic version. From Ben Affleck as Batman to Jesse Eisenberg as Lex Luthor, from the dream sequences to the fight scene, from subtle introduction of all the upcoming characters of the Justice League to keeping the overall theme dark and serious, Zack Snyder did enough justice to the movie still the film was panned by critics. After one year DC Films and Warner Bros. Pictures are coming out with Wonder Woman. The first reactions are already pouring in for this movie that speaks a lot about the liberating impact of this movie. 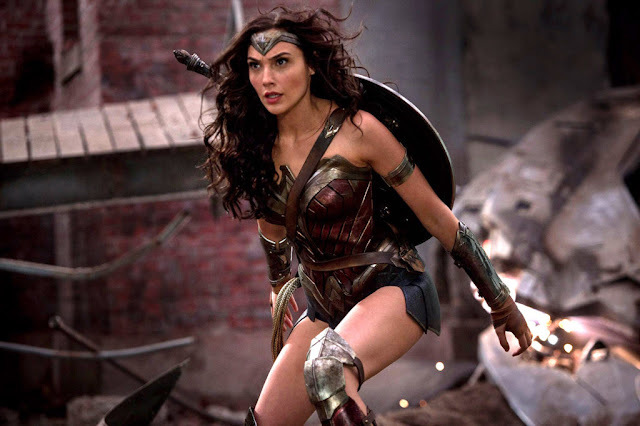 Not only woman empowerment, Wonder Woman is poised to bring out many other issues and entertain you that no other superhero movie has done so far. Here are some spoiler-free reactions for the much-anticipated movie of year – Wonder Woman. Save the date, it's June 2 - Wonder Woman releasing worldwide!